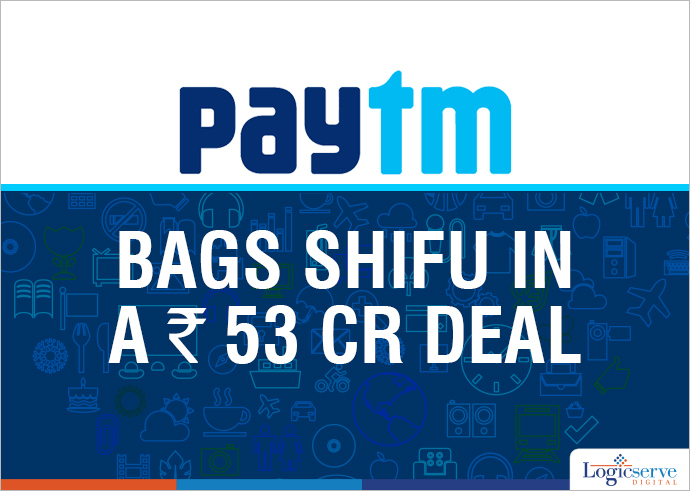 Digital payment platform eCommerce paytm has acquired a delhi based company shifu in an $8-million deal, Shifu is expecting to grow its consumer experiences on the Paytm platform. Paytm, a digital payment and ecommerce firm bagged Shifu, a Delhi based consumer behaviour prediction platform in a Rs. 53 Crore ($8 million) deal. The Delhi based company is said to enhance the overall experience on the Paytm for the consumers. Kiran Vasi Reddy, Paytm’s senior vice-president said that Shifu’s data and its tools that predict the consumer behaviour and preferences will turn out to be useful for a company like Paytm. Shifu’s three founders – Prashant Singh, Michael Massey and Deepansh Jain along with its 20 member team with join Paytm. Shifu uses a smart technology that mines the users’ smartphone usage data, time, location and other essentials and comes up with relevant suggestions and personalised prediction. According to Reddy, consumers are content when they get a personalised services and this feature will allow Paytm to make better strategies. This acquisition is in the line with the Paytm’s plan to invest $150 million in the up-and-coming companies to build an inclusive digital ecosystem. Near.in, Jugnoo, LogiNext are some of the companies that were acquired and funded by Paytm lately with the same objective. Backed by Alibaba, Paytm aims to bag more than a dozen companies with this finance. Through diversification, this online wallet company aims to compete with the online giants like Flipkart, Snapdeal and Amazon.